I have a lesson/class assignment that teaches the use of format and export environmental raster data, but the issue is the lesson is outdated from the new QGIS version. The QGIS 3.0 program doesn't allow you to create a new output file (or to my knowledge). 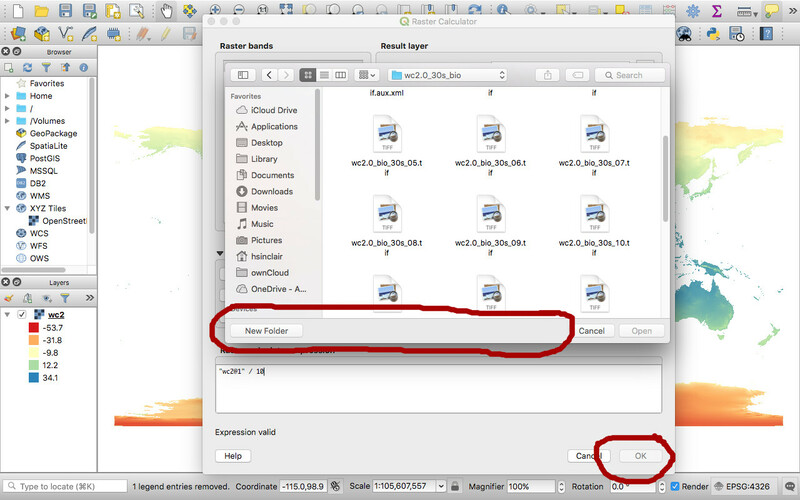 Those instructions seem perfectly valid for the Raster Calculator in QGIS 3.0. Output file settings are in the upper-right corner of the Raster Calculator window. Enter the filepath and name for your new raster where it says "Output layer." Not the answer you're looking for? Browse other questions tagged qgis raster raster-calculator qgis-3 calculator or ask your own question. Alternatives to QGIS raster calculator? Redrawing raster layer after file changed in QGIS?